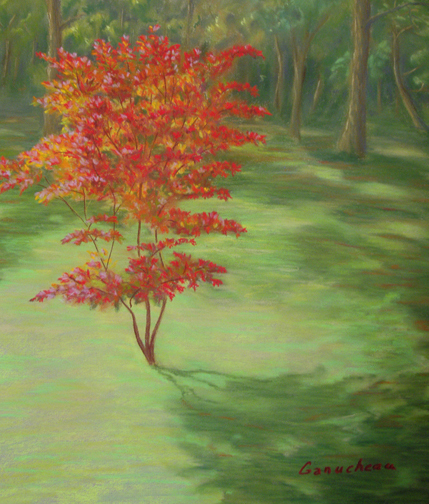 Pastel pleine-aire painting of a Japanese Red Maple in the artist's yard in early summer in Wilmington, NC by Rose Ganucheau. We planted this maple tree when we moved into our house and have watched it grow, so slowly, every year. I marvel at how the light plays off its leaves looking orange, red, and even purple, depending on the light.